We diligently support the local economy and businesses by endeavoring to use local woods which we know have been harvested in a responsible, sustainable manner. 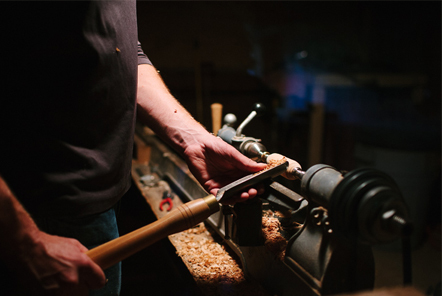 Unless otherwise specified by a customer, our furniture is constructed exclusively from woods native to Vermont, which we carefully hand-select from a number of small lumber mills around us Hardwoods such as Birdseye and Curly Maple, Black Walnut, Cherry, Flame Birch, and Burls of the many hardwoods here in Vermont. Only when we are not able to find a specific wood or wood production service from a local source, do we look outside our immediate area in Vermont.